Edison is a township in Middlesex County, New Jersey, United States. As of the 2010 United States Census, Edison had a total population of 99,967, retaining its position as the fifth-most populous municipality in New Jersey. The 2010 population reflected an increase of 2,280 (+2.3%) from the 97,687 counted in the 2000 Census, which had in turn increased by 9,007 (+10.2%) from the 88,680 counted in 1990. What is now Edison Township was originally incorporated as Raritan Township by an Act of the New Jersey Legislature on March 17, 1870, from portions of both Piscataway Township and Woodbridge Township. Portions of the township were taken to form Metuchen on March 20, 1900, and Highland Park on March 15, 1905. The name was officially changed to Edison Township on November 10, 1954, in honor of inventor Thomas Edison, who had his main laboratory in the Menlo Park section of the township. Edison was ranked the 28th most livable small city in the United States by CNN Money Magazine, and second in New Jersey in 2006 in Money Magazine's "Best Places To Live". In 2008, two years later, Money Magazine ranked the township 35th out of the top 100 places to live in the United States. Edison Township was not on the 2007 list because that year's list included only municipalities with a population of 50,000 or less. In the 2006 survey of America's Safest Cities, the township was ranked 23rd, out of 371 cities included nationwide, in the 13th annual Morgan Quitno survey. In 2009, Edison was ranked as one of "America's 10 Best Places to Grow Up" by U.S. News and World Report. The rankings focused on low crime, strong schools, green spaces, and abundance of recreational activities. Edison Township, comprising former sections of Piscataway and Woodbridge townships, was settled (by Europeans) in the 17th century. The earliest village was Piscatawaytown, which is centered around St. James Church and the Piscatawaytown Common, near the intersection of Plainfield and Woodbridge avenues in south Edison. The Laing House of Plainfield Plantation, the Benjamin Shotwell House, and the Homestead Farm at Oak Ridge, are buildings from the colonial era included in National Register of Historic Places listings in Middlesex County. The community was previously known as "Raritan Township", not to be confused with the current-day Raritan Township in Hunterdon County. In 1876, Thomas Edison set up his home and research laboratory in New Jersey on the site of an unsuccessful real estate development in Raritan Township called "Menlo Park", (currently located in Edison State Park). While there he earned the nickname "the Wizard of Menlo Park." Before his death at age 83 in 1931, the prolific inventor amassed a record 1,093 patents for creations including the phonograph, a stock ticker, the motion-picture camera, the incandescent light bulb, a mechanical vote counter, the alkaline storage battery including one for an electric car, and the first commercial electric light. It was in his Menlo Park laboratory that Thomas Edison came up with the phonograph and a commercially viable incandescent light bulb filament. Christie Street was the first street in the world to use electric lights for illumination. Edison subsequently left Menlo Park and moved his home and laboratory to West Orange in 1886. His Menlo Park lab has been called one of the greatest laboratories ever. Near Piscatawaytown village, a portion of the Township was informally known as "Nixon," after Lewis Nixon, a manufacturer and community leader. Soon after the outbreak of World War I, Nixon established a massive volatile chemicals processing facility there, known as the Nixon Nitration Works. It was the site of the 1924 Nixon Nitration Works disaster, a massive explosion and resulting fire that killed 20 persons and destroyed several square miles of the Township. In 1954, the township's name was changed to honor inventor Thomas A. Edison. Also on the ballot in 1954 was a failed proposal to change the community's name to Nixon. Edison has been one of the fastest growing towns in New Jersey. As of the 2000 United States Census, it was the fifth most-populated municipality in the state, after the cities of Newark, Jersey City, Paterson, and Elizabeth. Edison is primarily a middle-class community with more than 75 ethnic communities represented. Edison has a large Jewish community next to Highland Park, with multiple synagogues located in Edison. Edison also has a growing Indian community and a number of temples serving the religious needs of the community. Reflecting the number of Edison's residents from India and China, the township has sister city arrangements with Shijiazhuang, China, and Vadodara, India. Edison is located at 40Â°30â²14â³N 74Â°20â²58â³W (40.503991, â'74.349411). According to the United States Census Bureau, the township had a total area of 30.638Â square miles (79.351Â km2), of which, 29.940Â square miles (77.543Â km2) of it was land and 0.698Â square miles (1.808Â km2) of it (2.28%) was water. 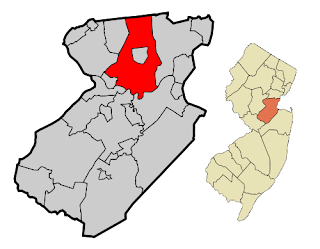 Edison is on the east side of Raritan Valley (a line of communities in central New Jersey), along with Plainfield, and completely surrounds Metuchen. Unincorporated communities, localities and place names within the township include Bonhamtown, Camp Kilmer, Centerville, Clara Barton, Eggert Mills, Greensand, Haven Homes, Lahiere, Lincoln Park, Lindenau, Martins Landing, Menlo Park, Millville, New Dover, New Durham, Nixon, Nixon Park, North Edison, Oak Tree, Phoenix, Potters, Pumptown, Raritan Arsenal, Raritan Manor,, Roosevelt Park, Sand Hills, Silver Lake, Stelton, Valentine and Washington Park. Extreme temperatures in Edison have ranged from â'17Â Â°F (â'27Â Â°C), recorded in February 1934, to 106Â Â°F (41Â Â°C), recorded in July 1936 and August 1949. Edison hosts one of the region's main centers of Asian American cultural diversity. As part of the 2010 Census, 28.3% of Edison residents identified themselves as being Indian American. In the 2000 Census, 17.75% of Edison residents identified themselves as being Indian American, the highest percentage of Indian American people of any place in the United States with 1,000 or more residents identifying their ancestry. Edison is also developing a sprawling suburban Chinatown. At the 2010 United States Census, there were 99,967 people, 34,972 households, and 26,509 families residing in the township. The population density was 3,339.0 per square mile (1,289.2/km2). There were 36,302 housing units at an average density of 1,212.5 per square mile (468.1/km2). The racial makeup of the township was 44.10% (44,084) White, 7.05% (7,046) Black or African American, 0.23% (229) Native American, 43.19% (43,177) Asian, 0.04% (36) Pacific Islander, 2.72% (2,718) from other races, and 2.68% (2,677) from two or more races. Hispanics or Latinos of any race were 8.11% (8,112) of the population. There were 34,972 households, of which 36.4% had children under the age of 18 living with them, 62.3% were married couples living together, 9.6% had a female householder with no husband present, and 24.2% were non-families. 20.4% of all households were made up of individuals, and 7.9% had someone living alone who was 65 years of age or older. The average household size was 2.80 and the average family size was 3.26. In the township, 22.7% of the population were under the age of 18, 7.6% from 18 to 24, 30.1% from 25 to 44, 27.0% from 45 to 64, and 12.6% who were 65 years of age or older. The median age was 38.1 years. For every 100 females there were 95.8 males. For every 100 females age 18 and over, there were 93.8 males. The Census Bureau's 2006-2010 American Community Survey showed that (in 2010 inflation-adjusted dollars) median household income was $86,725 (with a margin of error of +/- $3,000) and the median family income was $100,008 (+/- $2,624). Males had a median income of $66,898 (+/- $4,094) versus $50,953 (+/- $1,462) for females. The per capita income for the township was $36,464 (+/- $1,184). About 3.5% of families and 7.2% of the population were below the poverty line, including 8.6% of those under age 18 and 6.3% of those age 65 or over. As of the 2000 United States Census there were 97,687 people, 35,136 households, and 25,881 families residing in the township. The population density was 3,243.0 people per square mile (1,252.2/km2). There were 36,018 housing units at an average density of 1,195.7 per square mile (461.7/km2). The racial makeup of the township was 59.49% White, 29.27% Asian, 6.89% African American, 0.14% Native American, .04% Pacific Islander, 2.02% from other races, and 2.15% from two or more races. 6.37% of the population are Hispanic or Latino of any race. There were 35,136 households out of which 34.3% had children under the age of 18 living in them, 61.1% were married couples living together, 9.1% had a female householder with no husband present, and 26.3% were non-families. 21.1% of all households were made up of individuals and 7.2% had someone living alone who was 65 years of age or older. The average household size was 2.72 and the average family size was 3.19. In the township the population was spread out with 22.9% under the age of 18, 7.8% from 18 to 24, 34.0% from 25 to 44, 23.4% from 45 to 64, and 11.9% who were 65 years of age or older. The median age was 36 years. For every 100 females there were 96.3 males. For every 100 females age 18 and over, there were 94.0 males. The median household income in the township is $69,746, and the median income for a family was $77,976. Males had a median income of $53,303 versus $36,829 for females. The per capita income for the township was $30,148. About 3.3% of families and 4.8% of the population were below the poverty line, including 4.3% of those under age 18 and 6.3% of those age 65 or over. Edison is a transportation hub, with an extensive network of highways passing through the township and connecting to major Northeast cities, New York City, Boston, Philadelphia, Trenton, Washington, D.C. and others. As of May 2010, the township had a total of 307.05 miles (494.15Â km) of roadways, of which 257.31 miles (414.10Â km) were maintained by the municipality, 29.78 miles (47.93Â km) by Middlesex County and 14.75 miles (23.74Â km) by the New Jersey Department of Transportation and 5.21 miles (8.38Â km) by the New Jersey Turnpike Authority. Edison hosts various roadways. State roads include Route 27, and 440, both of which are state-maintained. U.S. Route 1 also passes through the township. Interstate 287 passes through Edison, where it houses its southern end at I-95. The municipality also houses about a 5-mile (8.0Â km) section of the New Jersey Turnpike (Interstate 95). Exit 10 is located in Edison, featuring a 13-lane toll gate and a âuniqueâ interchange design. When the "dual-dual" setup of the turnpike was created, it first started in Edison Township, and continued north to Exit 14 in Newark. It wasnât until 1973 that the "dual-dual" was extended south of 10 to Exit 9 in East Brunswick Township (and then extended further south in 1990 to Exit 8A in Monroe Township). Since Interstate 287 connects to Interstate 87 (the New York State Thruway), Exit 10 (of the turnpike) is one of the busiest interchanges to be used by tractor-trailers as it connects the New Jersey Turnpike to the New York Thruway. For truck drivers, it is the only connection they have to the Thruway as the Garden State Parkway, which has its northern terminus at the Thruway, prohibits trucks from using the roadway north of Exit 105. Due to Interstate 95's discontinuity in New Jersey, U.S. 1 serves as a regional artery linking the New Jersey Turnpike and Interstate 287 to Interstate 95 and Interstate 295. Edison station, located in South Edison, is served by New Jersey Transit northbound trains to Newark Penn Station and Penn Station New York, and southbound to the Trenton Transit Center via the Northeast Corridor Line, with connecting service to Amtrak, and SEPTA. Some passengers in North Edison may actually live closer to, and prefer to use, the Metropark (near neighboring Iselin in Woodbridge Township) or Metuchen stations. New Jersey Transit bus service is provided on the 62 route to Newark, with local service available on the 801, 804, 805, 810, 813, 814, 819, 978 and 979 routes. China Airlines provides private bus service to John F. Kennedy International Airport from the Kam Man Food Inc. at 511 Old Post Road in Edison to feed its flight to Taipei, Taiwan. Edison was selected as one of the first communities by the New Jersey Department of Transportation to have a red light camera enforcement system operated by RedFlex Traffic Systems, Inc. The three-year contract, which allows for up to two one-year extensions, provides for the system to be installed at up to 75 locations. Majesco Entertainment, a video game company, has its corporate headquarters in Edison. Other companies have warehouse operations within Edison. These companies include the Italian food producer and importer Colavita, as well as the regional hubs for FedEx, UPS, and Newegg. In addition Edison is home to the State's largest private convention center, the New Jersey Convention and Exposition Center located within the Raritan Center Business Park. Raritan Center itself is the largest industrial park on the east side of the Mississippi River. The United States headquarters of the international company Zylog Systems is located in Edison. Edison is served by three area codes which are 732, 908 and 848. Area Code 848 is an overlay area code that was created so there were no more splits as there are today. Central Office Rahway (Switch ID: RHWYNJRADS5) (Area Code 732): Serving from Wood Avenue North to Roxy Ave on the west side of the Street inward to New Dover Road. Central Office Plainfield ( Switch ID: PLFDNJPFDS5) (Area Code 908): Serving Roxy Avenue heading north into South Plainfield on both sides of Inman Avenue. Central Office Metuchen (Switch ID: MTCHNJMTDS5) (Area Code 732): Serving the Towns of Edison, Metuchen and Iselin (Technically Iselin Numbers that have 732-283 and 732-404 are routed out of the Woodbridge Office Switch ID: WDBRNJWDDS5). Central Office Edison (Switch ID: EDSNNJEDDS5): Serving South Edison with phone numbers that come up as âNew Brunswickâ - 732-339, 732-393, 732-572, 732-777, 732-819, 732-985, and Exchanges for âMetuchenâ that are 732-248, 732-287, 732-650. Central Office Fords (Switch ID: FRDSNJFRDS5): Serving Eastern Edison area and Raritan Center areas with 732-225, 732-346, 732-417, 732-512 and Perth Amboy Exchanges 732-661, 732-738. In 1982, The BPU and New Jersey Bell, after receiving thousands and complaints from both North and South Edison residents, had made an exception that any calls originating and terminating in the Township would be considered a local call. This was due to the new home construction in Edison were existing cables that belonged to the Rahway central office were assigned to give new phone service to over 400 homes. In 1997, mandatory ten-digit dialing came to Edison with the introduction of Area code 732. Edison residents living on Roxy Avenue once again were in the spotlight in the news, with one side of the street served by the Rahway central office (Area code 732) and the other side of the street is served by the Plainfield central office (Area Code 908). Residents complained to the BPU and Bell Atlantic that it would be easier to yell across the street then dial a ten-digit number call their neighbor across the street. Cable TV: Edison has Cablevision's Optimum service. Before Cablevision, there was TKR, which was so poorly run that many FCC and BPU complaints about programming and many town hall meetings eventually forced change when TKR began running fiber optics through town to as they put it âTKR â" Beyond Televisionâ. TKR was bought out by Cablevision. Edison Township operates within the Faulkner Act, formally known as the Optional Municipal Charter Law, under the Mayor-Council form of government, which was implemented as of January 1, 1958, based on the recommendations of a Charter Study Commission. Edison is governed by a mayor and a seven-member Township Council. Members of the council are elected at-large in partisan elections held as part of the November general election to four-year terms of office on a staggered basis, with three or four seats coming up for election every even year, with the mayoral seat up for vote at the same time that three seats are expiring. As of 2015, the Mayor of Edison is Democrat Thomas Lankey, whose term of office ends December 31, 2017. Members of the Township Council are Council President Robert Karabinchak (D, 2015), Council Vice President Michael Lombardi (D, 2015), Robert Diehl (D, 2017), Alvaro Gomez (D, 2017), Wayne Mascola (D, 2015), Sudhanshu Prasad (D, 2015) and Sapana Shah (D, 2017). The past and only female Mayor of Edison was Antonia "Toni" Ricigliano, whose term of office ended on December 31, 2013. Running on a good government platform and a call to reform the Democratic Party, Jun Choi won the June 2005 primary by a 56â"44% margin, defeating longtime incumbent Mayor George A. Spadoro, the first time in Edison history that a challenger won the Democratic primary. Choi won endorsements from mainstream Democratic leaders including Bill Bradley, for whom he worked on the 2000 presidential campaign, and was unexpectedly endorsed by a number of traditionally candidate-neutral unions in Edison. In the ensuing general election, Choi did not face a Republican candidate, but instead faced a former Democrat turned Independent, William (Bill) Stephens. An article in The American Prospect details aspects that Choi brought together in his 2005 mayoral campaign, including 1. attracting new voters into the process, 2. a good government message, 3. anti-Wal-Mart or economic justice theme and 4. an effective Internet-based progressive mobilization. On Election Day, November 8, 2005, Jun Choi declared victory, leading in unofficial results with a vote of 12,126 to 11,935. However, due to the small margin of victory, candidate William Stephens pursued a recount and subsequently, an election contest, both without success. On January 1, 2006, at age 34, Mayor Choi was sworn-in by Governor Jon Corzine as the youngest Mayor in Edison history. Choi ran for re-election in 2009, but was defeated in the primary election by Antonia "Toni" Ricigliano, who went on to win the general election, and took office January 1, 2010. Recent politics in Edison have concerned plans for zoning the township to facilitate the creation of "walkable" communities that will attract businesses, while still maintaining open spaces and parks and easy access to commuter transit. This strategy is meant to encourage "Smart Growth." Politics in Edison since the 2005 mayoral election have been polarized by an attempt by retail giant Walmart to open a store in central Edison near the junction of Interstate 287 and New Jersey Route 27. Even though Jun Choi stated in his Mayoral Campaign that he would stop Walmart from being built, Walmart filed suit and won, and Choi was there to cut the yellow ribbon when the store was opened. Edison is located in the 6th Congressional District and is part of New Jersey's 18th state legislative district. Prior to the 2010 Census, Edison had been split between the 6th congressional District and the 7th Congressional District, a change made by the New Jersey Redistricting Commission that took effect in January 2013, based on the results of the November 2012 general elections. New Jersey's Sixth Congressional District is represented by Frank Pallone (D, Long Branch). New Jersey is represented in the United States Senate by Cory Booker (D, Newark, term ends 2021) and Bob Menendez (D, Paramus, 2019). For the 2014-15 Session, the 18th District of the New Jersey Legislature is represented in the State Senate by Peter J. Barnes III (D, Edison) and in the General Assembly by Patrick J. Diegnan (D, South Plainfield) and Nancy Pinkin (D, East Brunswick). The Governor of New Jersey is Chris Christie (R, Mendham Township). The Lieutenant Governor of New Jersey is Kim Guadagno (R, Monmouth Beach). Middlesex County is governed by a Board of Chosen Freeholders, whose seven members are elected at-large on a partisan basis to serve three-year terms of office on a staggered basis, with either two or three seats coming up for election each year as part of the November general election. At an annual reorganization meeting held in January, the board selects from among its members a Freeholder Director and Deputy Director. As of 2015, Middlesex County's Freeholders (with party affiliation, term-end year, residence and committee chairmanship listed in parentheses) are Freeholder Director Ronald G. Rios (D, term ends December 31, 2015, Carteret; Ex-officio on all committees), Freeholder Deputy Director Carol Barrett Bellante (D, 2017; Monmouth Junction, South Brunswick Township; County Administration), Kenneth Armwood (D, 2016, Piscataway; Business Development and Education), Charles Kenny ( D, 2016, Woodbridge Township; Finance), H. James Polos (D, 2015, Highland Park; Public Safety and Health), Charles E. Tomaro (D, 2017, Edison; Infrastructure Management) and Blanquita B. Valenti (D, 2016, New Brunswick; Community Services). Constitutional officers are County Clerk Elaine M. Flynn (D, Old Bridge Township), Sheriff Mildred S. Scott (D, 2016, Piscataway) and Surrogate Kevin J. Hoagland (D, 2017; New Brunswick). As of March 23, 2011, there were a total of 53,352 registered voters in Edison Township, of which 25,163 (47.2%) were registered as Democrats, 6,242 (11.7%) were registered as Republicans and 21,929 (41.1%) were registered as Unaffiliated. There were 18 voters registered to other parties. In the 2012 presidential election, Democrat Barack Obama received 62.8% of the vote (22,104 cast), ahead of Republican Mitt Romney with 36.3% (12,769 votes), and other candidates with 1.0% (339 votes), among the 35,546 ballots cast by the township's 54,857 registered voters (334 ballots were spoiled), for a turnout of 64.8%. In the 2008 presidential election, Democrat Barack Obama received 58.8% of the vote (22,409 cast), ahead of Republican John McCain with 39.3% (14,986 votes) and other candidates with 1.1% (418 votes), among the 38,129 ballots cast by the township's 55,305 registered voters, for a turnout of 68.9%. In the 2004 presidential election, Democrat John Kerry received 55.2% of the vote (20,000 ballots cast), outpolling Republican George W. Bush with 43.1% (15,615 votes) and other candidates with 0.6% (311 votes), among the 36,205 ballots cast by the township's 52,308 registered voters, for a turnout percentage of 69.2. In the 2013 gubernatorial election, Republican Chris Christie received 58.6% of the vote (12,502 cast), ahead of Democrat Barbara Buono with 39.3% (8,373 votes), and other candidates with 2.1% (443 votes), among the 21,877 ballots cast by the township's 55,392 registered voters (559 ballots were spoiled), for a turnout of 39.5%. In the 2009 gubernatorial election, Republican Chris Christie received 46.6% of the vote (11,230 ballots cast), ahead of Democrat Jon Corzine with 44.5% (10,727 votes), Independent Chris Daggett with 6.4% (1,549 votes) and other candidates with 1.0% (243 votes), among the 24,097 ballots cast by the township's 53,358 registered voters, yielding a 45.2% turnout. The Edison Township Public Schools serve students in pre-Kindergarten through twelfth grade. The district's two high schools separate the south and north ends of Edison. In the Edison High School zone to the south, there are six Kâ"5 elementary schools, while in the J.P. Stevens High School zone there are five K-5 elementary schools. As of the 2011-12 school year, the district's 18 schools had an enrollment of 14,224 students and 1,073.5 classroom teachers (on an FTE basis), for a studentâ"teacher ratio of 13.25:1. Schools in the district (with 2011-12 enrollment data from the National Center for Education Statistics) are Early Learning Center (78 students; grade PreK), 11 elementary schools â" Benjamin Franklin Elementary School (562 students in grades K-5), Martin Luther King Jr. Elementary School (558; grades PreK-5), Lincoln Elementary School (715; K-5), Lindeneau Elementary School (455; K-5), James Madison Primary School (600; PreK-2), who then move on to James Madison Intermediate School (596; 3â"5), John Marshall Elementary School (608; K-5), Menlo Park Elementary School (807; K-5), James Monroe Elementary School (442; K-5), Washington Elementary School (560; PreK-5) and Woodbrook Elementary School (868; K-5) â" John Adams Middle School (798; from James Madison Intermediate and MLK Jr.), Herbert Hoover Middle School (800; from Franklin, Lincoln and Monroe), Thomas Jefferson Middle School (721; from Lindeneau, Marshall and Washington) and Woodrow Wilson Middle School (892; from Menlo Park and Woodbrook) for grades 6â"8 and both Edison High School (1,996; from Hoover and Jefferson) and J.P. Stevens High School (2,169; from Adams and Wilson) for grades 9â"12. J.P. Stevens was the 80th-ranked public high school in New Jersey out of 328 schools statewide in New Jersey Monthly magazine's September 2012 cover story on the state's "Top Public High Schools", after being ranked 65th in 2010 out of 322 schools listed, while Edison High School was ranked 174 in 2012 and 169 in 2010. Middlesex County College is also home to the Middlesex County Academy for Science, Mathematics, and Engineering Technologies, an engineering-based high school, which is part of the Middlesex County Vocational and Technical Schools. The high school is free for all Middlesex County residents, but admission is based on a test, past grades, and other academic and extracurricular activities. About 160 students, 40 per grade from around the county attend the Academy. Bishop George Ahr High School (9-12), St. Helena School (PreK-8) and St. Matthew School (PreK-8) operate under the supervision of Roman Catholic Diocese of Metuchen. Other private schools in Edison include the Wardlaw-Hartridge School, Rabbi Jacob Joseph School, Yeshiva Shaarei Tzion, Rabbi Pesach Raymon Yeshiva, St. Helena School, St. Matthew School, Lakeview School and Our Lady Of Peace School. Additionally, the private for-profit technical school Lincoln Tech (formerly the Cittone Institute) has a campus on Oak Tree Road in Edison. Lincoln Tech in Edison offers various programs in Nursing and in medical and computer applications. In Edison, the sizeable Asian/Chinese population had pushed for years to establish a Chinese School where students could learn the Chinese language. In 1998, Huaxia Edison Chinese School (which teaches Simplified Chinese) was established in Thomas Jefferson Middle School. Huaxia currently resides in Edison High School. However, many families from Taiwan send their children to Edison Chinese School, located at John Adams Middle School, or Tzu Chi, located at Woodrow Wilson Middle School. These schools both teach Traditional Chinese. JP Stevens High School also offers Mandarin Chinese and Hindi as an elective language for students who are interested in learning it. Middlesex County College (MCC) is a public, two-year community college located in Edison at the intersection of Woodbridge Avenue and Mill Road. Rutgers University's Livingston campus is located on the former Kilmer Army Base, partially located in Edison. Peter J. Barnes II (born 1928), Chairman of the New Jersey State Parole Board who had served in New Jersey's General Assembly from 1996 to 2007. Peter J. Barnes III (born 1956), represents the 18th Legislative District in the New Jersey General Assembly, and served on the Edison Township Council from 1996 to 2007. Gayleatha B. Brown (1947-2013), diplomat who served as the United States Ambassador to Benin and the United States Ambassador to Burkina Faso. David Bryan (born 1962), keyboardist, founding member of Bon Jovi. Al Chez, trumpet player for the Late Show with David Letterman. Rich Clementi (born 1976), mixed martial arts fighter. Ken Cuccinelli (born 1968), Former Attorney General of Virginia. Tom Dwan (born 1986), professional poker player. Bernard J. Dwyer (1921-1998), served in the United States House of Representatives from 1981 to 1993. Gail Fisher (1935-2000), actress best known for her role on Mannix. Frank Guinta (born 1970), served in the United States House of Representatives from New Hampshire's 1st congressional district. Thomas Edison (1847â"1931), inventor, the township's namesake. Pamela Long, singer with former Bad Boy group Total. Patrick McDonnell (born 1956), cartoonist, creator Mutts comics. Earl Schenck Miers (1910-1972), historian who wrote extensively about the American Civil War. Victor Mitchell (born 1965), former member of the Colorado House of Representatives. Jim Norton (born 1968), stand-up comedian. Margie Palatini, author of books for children. Marc Pisciotta (born 1970), former Major League Baseball pitcher. Mark L. Polansky (born 1956), NASA astronaut. Bernard Purdie (born 1941), prolific session drummer. Susan Sarandon (born 1946), actress. Nancy Shevell (born 1959), third wife of Paul McCartney and a leader in the trucking industry. Chris Snee (born 1982), guard who has played for the New York Giants. George A. Spadoro, former Mayor of Edison, Council President and Assemblyman. Joel Stein (born 1971), Los Angeles Times columnist. Mike Vallely (born 1970), professional skateboarder. and lead singer of Black Flag. Darrin Winston (1966â"2008), Major League Baseball player who played two seasons in Major League Baseball for the Philadelphia Phillies. Jeremy Zuttah (born 1986), offensive lineman for the Tampa Bay Buccaneers. Camp Kilmer, a World War II era army post, was partially located in what is now Edison. The Clara Barton downtown area, a community with its own downtown area near Woodbridge. Dismal Swamp, preserved wetlands area that also includes portions of Metuchen and South Plainfield. Durham Woods, a complex of several apartment buildings and scene of the Edison, New Jersey natural gas explosion in 1994, in which a 36-inch natural gas pipeline burst and exploded, destroying buildings in the area. Edison Landfill, landfill site undergoing environmental cleanup since it was ordered closed in 1977. Edison has three public libraries: the Main Library is on Plainfield Avenue in South Edison, near Edison station; North Edison Branch is on Grove Avenue, and the Clara Barton Branch is in the Clara Barton downtown area, on Hoover Avenue. Library service also includes a popular Bookmobile. The Edison Municipal Complex, located off Route 27 next to the Edison Square/Clarion Hotel office park. Edison Station in south Edison, offering service on New Jersey Transit's Northeast Corridor Line. Ford Motor Company had a plant here, the Ford Edison Assembly Plant on U.S. Route 1, assembling the Ford Ranger and Mazda B-Series trucks. The plant closed in 2004, with about 1,420 workers losing their jobs. Hartz Mountain purchased the property and is proposing a mixed-use retail center that began construction in 2007. Township officials have negotiated no housing on the site, to be called "Edison Towne Square." Instead, it is hoped that a community center can be built at no cost to taxpayers alongside the retail and commercial space. So far Sam's Club is the only retail store built on the property. John F. Kennedy Hospital, located on James Street off Parsonage Road is a 498-bed hospital founded in 1967. Laing House of Plainfield Plantation, historic home built in the early 1700s when the region was being settled by Scottish Quakers in the late 17th and early 18th century. ILR Landfill, closed landfill site owned by Industrial Land Reclaiming (ILR) providing power to Middlesex County's wastewater treatment operations from methane gas recovery. Jewish Community Center/YMCA or Community Campus located off Oak Tree Road. Nixon Park, a large neighborhood surrounding Lincoln School. A "cookie-cutter" development of three-bedroom homes built in the very early 1950s, homes there were largely purchased by WWII veterans using the GI Bill. Constructed at the same time, and adjoining Nixon Park, were the Lincoln Village, Vineyard Village and Washington Park developments. Children from Lincoln and Vineyard Villages attended Lincoln School. Washington Park surrounded both the Washington School and the Saint Matthew's Catholic School (grades 1â"8). Kin-Buc Landfill, former landfill and Superfund site site where 70Â million US gallons (260,000Â m3) of hazardous waste was dumped. Menlo Park Mall, located at the intersection of Route 1 and Parsonage Road, has a gross leasable area of 1,260,703 square feet (117,123.1Â m2). Oak Tree Pond, site of a minor battle of the American Revolutionary War and whose conversion into a park ended a real estate development controversy. Oak Tree Road in Edison and the Iselin of Woodbridge Township is known for its large concentration of Indian stores and restaurants. Raritan Center, a major industrial park anchored by the New Jersey Convention and Exposition Center. Roosevelt Hospital, a hospice located just East of Roosevelt Park. The facility was original constructed in 1936 under the auspices of the Work Projects Administration. Roosevelt Park, located between Parsonage Road and Route 1, west of the Mall, covers 217 acres (88Â ha), including the 8-acre (3.2Â ha) Roosevelt Park Lake. The park was established in 1917, making it the oldest county park in Middlesex County. St. Helena Roman Catholic Church, off New Dover Road. The Thomas Alva Edison Memorial Tower and Museum, in Menlo Park, dedicated in 1938. Located in Edison State Park, at the site where its namesake inventor invented the incandescent light bulb and the phonograph.